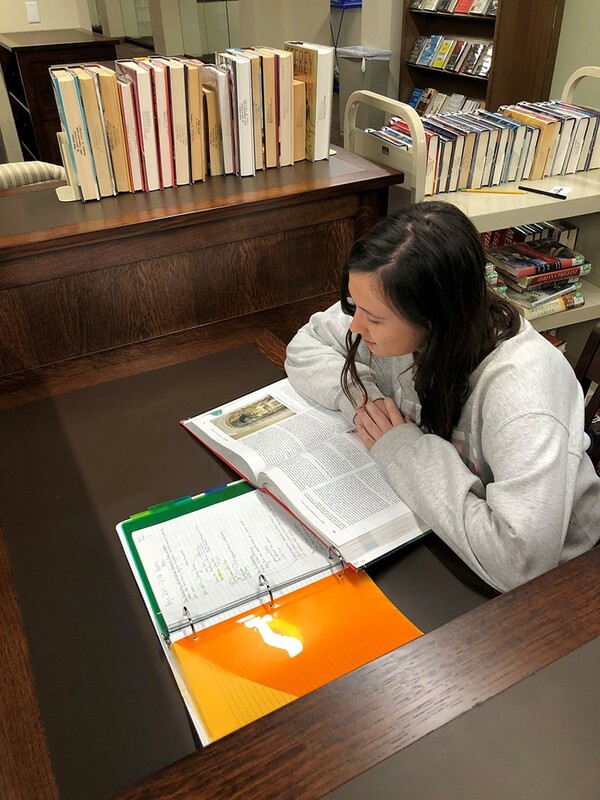 Camille McFarland studying AP World History at a study carrel. “After three and half months of no library, students were treated to the Disneyland of libraries, something for everyone,” said Upper School librarian Mrs. Margaret Patrick. Students bustling in awe and study rooms full of students eager to learn and grow through new collaborative mediums. That was the scene at the opening of the newly renovated academic commons at St. John’s School. The academic commons includes eleven group study rooms with table white boards and wall white boards on the way. 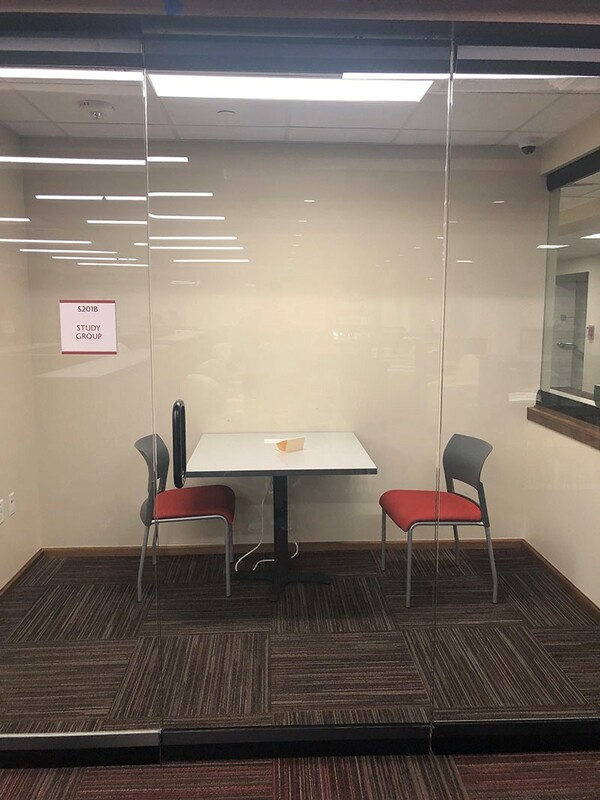 Additionally, there is soft seating and tables for students on the north side of the library and tables and chairs of different sizes to accommodate various study groups on the south side. There are sixteen individual study carrels as well. 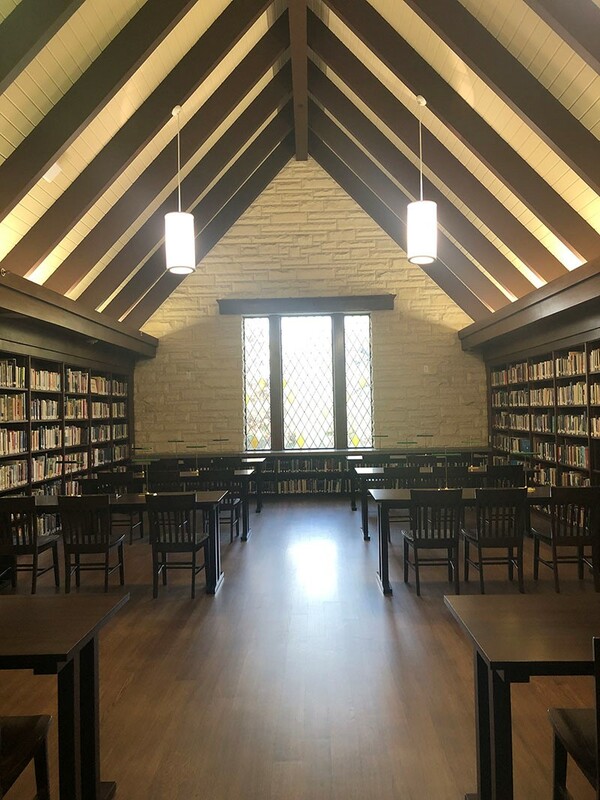 Furthermore, there is a reading room for silent study connected to the rest of the library as well as a conference room for use by reservation only. 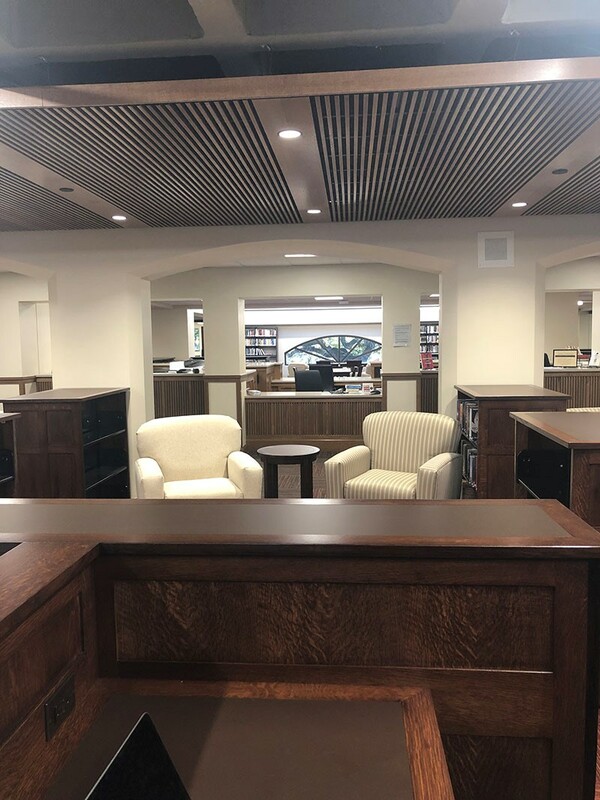 These new renovations have given students access to state of the art learning spaces modeling those of colleges and universities around the United States and an opportunity to get work done efficiently in a quiet environment as well as collaborate when needed. 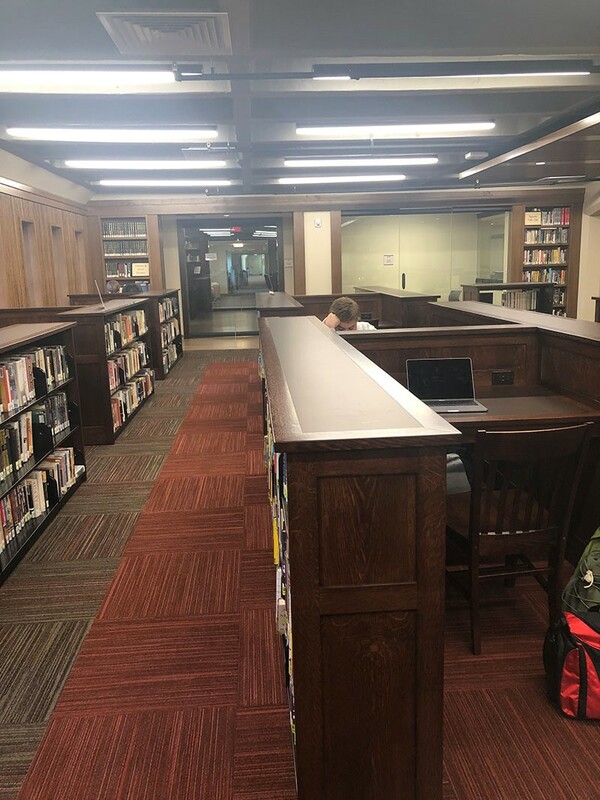 Sophomore Camille McFarland believes that the new library is a valuable addition to the SJS community. “The new library is not only an impressive feat of the St. John’s community but an environment in which I can effectively get work done,” McFarland said.